Top 5 wallpaper apps for smartphones – Wallpaper is the thing through which you can enhance the premium looks of your smartphone up to unlimited possibilities. It plays the most vital role when we ant to our phone looks “fresh” and defines our hobby and taste. Hence, having good wallpapers can add a lot of value to your day-to-day life by spreading positivity, happiness and much more. The resolution and quality of the wallpaper matters as our smartphone screen quality is increasing day by day [ from TFT to HD to 4k display], as the sharpness of the screen increases, then you should apply the wallpaper that suits your device, else it was looking like older one. Devices like Galaxy S8 series and the iPhone X carry bezel-less infinity screens. So, you also need different apps for your wallpaper requirement. So, today I am coming with the Top 5 wallpaper apps for smartphones with gorgeous displays. So friend, without wasting any further time let’s get started with our list of ” Top 5 wallpaper apps for smartphones with gorgeous displays “. If you want some artistic type wallpapers, then yes, you are at right place. This Walli App helps you to find out the best wallpapers which are designed and created manually. Walli doesn’t do the normal material wallpaper and landscape pictures that are popular today. The developers have hand selected and built a community of talented artists from around the world to ensure it has the unique set of wallpapers. — Featured: check which wallpapers the Walli team recommends. — Popular: find out what are the best wallpapers according to other users. — Recent: discover the newest wallpapers on the app. Set a new wallpaper without leaving the app: choose your new favourite wallpaper and change your phone background directly from the app. Simply tap the image and choose “set as wallpaper”. Google Wallpaper which is created and distributed by Google itself is one of the best wallpaper apps if you want the wallpapers which are related to nature and real-time. For this, it is essential to have an app that will continue providing an abundant collection of scenic landscapes, space photographs and much more. 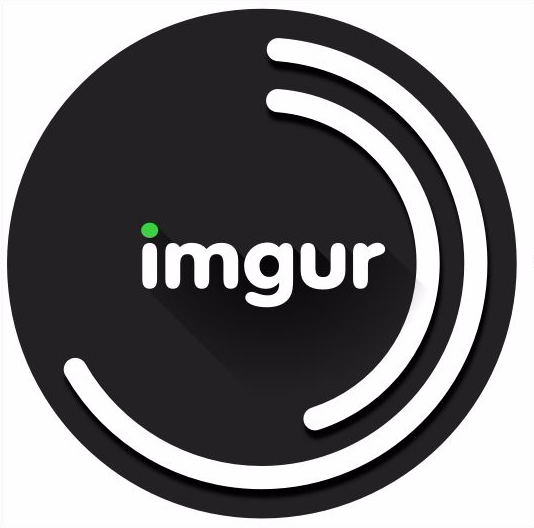 Imgur is not an only an android application, but it is also a very popular website where you can get millions of wallpapers of your choices as well as animated GIFs also. on this website, you can find the wallpaper from the quality of 1080p to 8K which provides you the clear and more precise look to your smartphone. You can get any kind of wallpaper from every category, and you can even create your account and upload your wallpaper as well as share that wallpaper with your friends. Cure your boredom and stay entertained by brand new content updated all day long. Find authentic human stories and hilarious memes before anyone else. Enjoy the best images and GIFs from the topics you love most like cosplay, startled cats, reaction GIFs, hiking, wtf moments, politics, anime, and any other topic you can fathom. Connect with millions of new people around the world. This app helps you to highly customize your Android smartphone. Zedge for Android provides you the millions of High-Quality Wallpapers, ringtones, notification tones as well as different sets of Icons for Application installed on your device. Not going anywhere for them, simply open the app, browse the thing you want through searching in different categories, save that in your device and apply. You are good to go. In this application, there is various wallpaper about Infinity. With this application, you view, save and set the Infinity Picture as wallpapers your phone. The app offers a variety of wallpapers of infinity under different categories. The app allows users to save the images to their phone wallpapers and it is compatible even with tablets of 7″ and 10″ screen sizes. – A picture can be saved into the phone Wallpapers. So, my friend, Above are the ” Top 5 wallpaper apps for smartphones with gorgeous displays “. Did you just use any app listed Above? Then please share your experience with that app through a comment. If you want to recommend us any other app which deserves to be listed in this Article, simply share your App details below, and we will feature that app in this article and also recommend your name below that app as a recommendation. So friend, till then, Build Best, Stay Cool!